Meet our FK Ambassador who loves furry monsters and warm tones. "Hello! I'm Meredith MacLeod, a magic maker in Oakland. I moved here in 2003 to study Textiles at the California College of the Arts, and my experience there put me on a path to a creative life that I happily walk today. 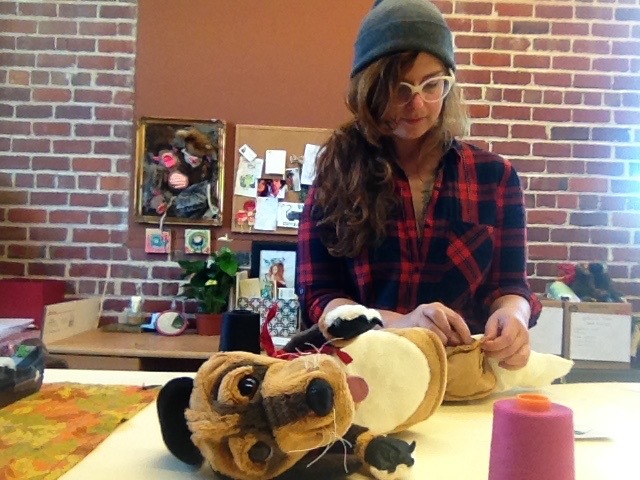 I make my living as a professional puppet designer, which for me is just about the most fun job in the world. I've created all kinds of furry animals, shiny dragons, and crazy monsters at my sewing machine over the years. I also love painting, drawing, storytelling and anything that sparkles. Whether it's a cuddly creature or the perfect outfit, I get so much joy creating something that I have imagined. My favorite aspect of FashionKit is creating garments that make me feel amazing. 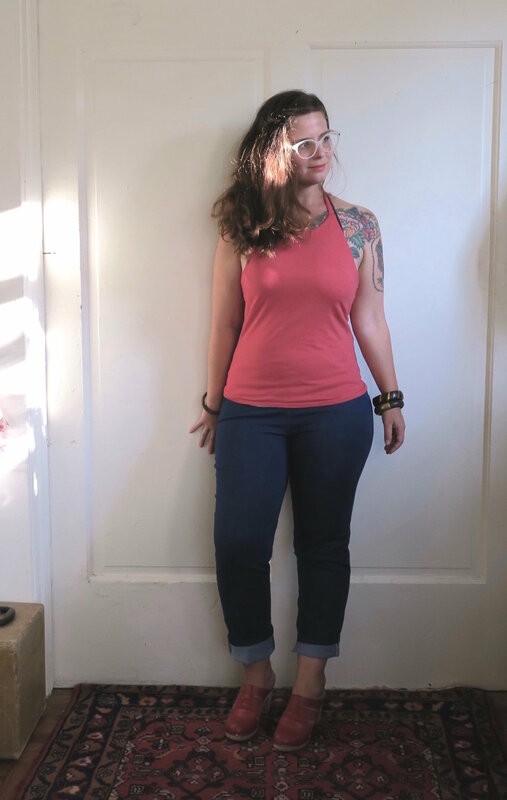 My Spring 2016 City Pants are the best fitting and most comfortable jeans in my wardrobe right now, and the fact that I get to proudly declare "I made these!" is the icing on the cake.